Are you looking for the perfect storage solution for your valuable personal or business items? Did you know that climate controlled storage units provide a multitude of benefits? That’s right, climate controlled storage units are the optimal choices for anyone interested in storing their valuable items for any length of time. For over a decade, Universal Storage has been proud to provide climate controlled storage units that offer proven benefits. At Universal Storage in Aubrey, Texas, climate controlled storage units are designed to maintain a constant environment. Generally speaking, the temperature of each unit is kept between 55°F and 85°F, so that the unit does not become too hot or too cold. Reduced exposure to heat, cold, and other weather elements. 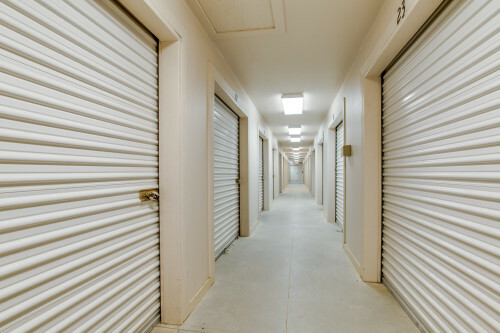 At Universal Storage, climate controlled units provide the optimal storage solution for valuable items, including (but not limited too): leather goods, artwork, antiques, wood, and metal items. Due to the nature of climate controlled storage units, wood and metal can be kept from splintering, cracking, or warping. Antiques and works of art can be stored at the optimal temperature; while leather goods can be kept from fading or cracking. Universal Storage proudly offers climate controlled storage units in a variety of sizes, including: one 15 x 20, one 15 x 15 one 5 x 15, and fifty-one 10 x 15 units. To discover which climate controlled storage unit is ideal for your storage needs, please contact a member of the Universal Storage family at your earliest convenience via 940-365-0551 or 214-794-9117.